Posted on September 14, 2014 by revivewa	in Uniting Generations and tagged 1, Girls' Brigade. 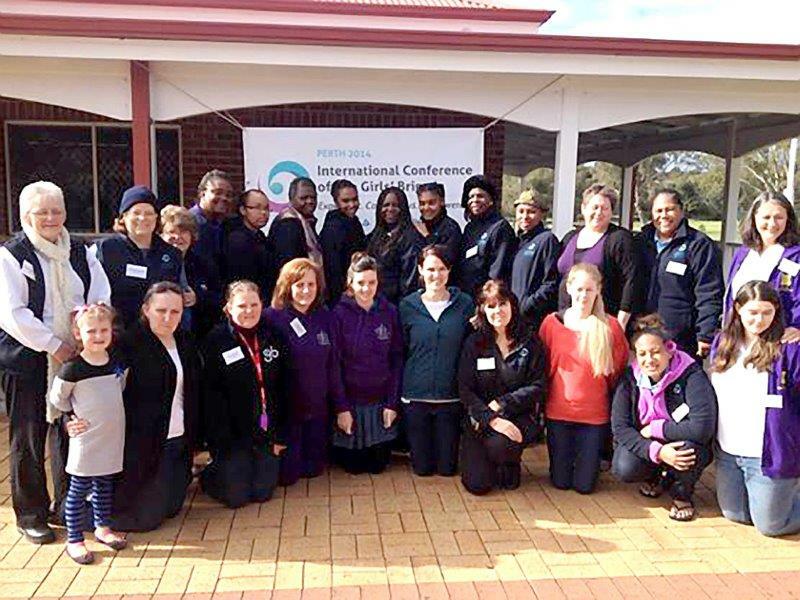 Hundreds of Girls’ Brigade representatives from around the world congregated in Perth from 5–11 July to discuss the life and business of their organisation. The International Conference of the Girls’ Brigade meets in a different city every four years and last year the organisation celebrated their 120th anniversary. Ruth Chikasa has been president of Girls’ Brigade International for eight years and flew in to Perth from Zambia to chair the event. Having attended Girls’ Brigade as a child, Ruth knows the effect that empowering women can have. Ruth is devoted to her passion of giving people who are less fortunate a chance to shine – through her voluntary role at Girls’ Brigade and a number of other organisations she works with. Her everyday job is with Dreyfus Health Foundation, where she supports problem-solving for better health. A country’s wealth can be measured by the physical, emotional and social wellbeing of its people. As the regional director for Africa, she promotes the idea that health is a community issue and so works with communities to their strengths. Ruth is also the vice-chairperson for the International Network for Religious Leaders Living with or Affected by HIV or Aids (INERELA) – an organisation which promotes a preventative and holistic approach to dealing with the virus to provide a healthy environment for Africa and other countries worldwide. When you see a change in someone it can move you – seeing them come from a dark place and progressing into their ‘best’ self. Ruth said that she is motivated in her work by seeing people transformed. “Sometimes we get bogged down with the policies, but the joy of Girls’ Brigade as a leader is to see lives transformed,” she said. But, she said during an interview at the start of the week, the week-long conference was about more than just business. Throughout the conference an emerging theme was that Girls’ Brigade is open to change. Things don’t have to be done the same way they have always been done – God is creative, therefore Girls’ Brigade is able to read the times and local contexts to respond in relevant ways. Girls’ Brigade is active in over 50 countries around the world. As expected, each of those countries is unique in culture, meaning the issues young people face in each are also unique. Girls’ Brigade seeks to be relevant in each of these places, while retaining their mission to create a holistic environment where girls and women can learn, grow and support each other in faith and life. In Australia, Girls’ Brigade is living to the mission of being relational, relevant and responsive to girls in our community. There are 22 companies across Western Australia giving girls a strong foundation as they grow into women. For Ruth Chikasa, as the outgoing president, Girls’ Brigade has been an outlet for her passion for life. “Every morning I wake up and say, ‘God, I want to plug into your joy’,” she said. Vivienne Aitchison, from England, was installed as the new president of Girls’ Brigade for a four year term. Top image: Ruth Chikasa, left, and Vivienne Aitchison, the new Girls’ Brigade president.